NOTE: Annex 5 is currently being reviewed and revised to reflect FDA's current thinking. The information contained herein is likely to change when the next Food Code is issued. HACCP (Hazard Analysis and Critical Control Point) is a systematic approach in identifying, evaluating and controlling food safety hazards. Food safety hazards are biological, chemical or physical agents that are reasonably likely to cause illness or injury int he absence of their control. A HACCP system is a preventive system of hazard control rather than a reactive one. HACCP systems are designed to prevent the occurrence of potential food safety problems. This is achieved by assessing the inherent hazards attributable to a product or a process, determining the necessary steps that will control the identified hazards, and implementing active managerial control practices to ensure that the hazards are eliminated or minimized. Essentially, HACCP is a system that identifies and monitors specific foodborne hazards - biological, chemical, or physical properties - that can adversely affect the safety of the food product. This hazard analysis serves as the basis for establishing critical control points (CCPs). CCPs identify those points in the process that must be controlled to ensure the safety of the food. Further, critical limits are established that document the appropriate parameters that must be met at each CCP. Monitoring and verification steps are included in the system, again, to ensure that potential hazards are controlled. The hazard analysis, critical control points, critical limits, and monitoring and verification steps are documented in a HACCP plan. Seven principles have been developed which provide guidance on the development of an effective HACCP plan. HACCP represents an important food protection tool supported by Standard Operating Procedures, employee training and other prerequisite programs that small independent businesses as well as national companies can implement to achieve active managerial control of hazards associated with foods. Employee training is key to successful implementation. Employees must learn which control points are critical in an operation and what the critical limits are at these points, for each preparation step they perform. Establishment management must also follow through by routinely monitoring the food operation to verify that employees are keeping the process under control by complying with the critical limits. Local jurisdictions can effectively promote the industry's use of HACCP and apply the concepts during inspections. The implementation of HACCP continues to evolve as hazards and their control measures are more clearly defined. To meet the challenges presented by advances in food research, product development, and their impact at retail, regulatory personnel must keep themselves informed. Food protection publications issued by the food industry, professional organizations, and other groups and continuing education programs can be particularly helpful in providing an understanding of food operations and how the application of HACCP can bring a focus to food safety that traditional inspection methods have lacked. FDA has issued guidance to industry in voluntarily applying HACCP principles in food establishments. This Guide recognizes that there are differences between using a HACCP plan in food manufacturing plants. By incorporating the seven principles of HACCP, a good set of Standard Operating Procedures, and using a process approach, this Guide sets up a framework for the retail food industry to develop and implement a sound food safety management system. The Agency recognizes that this document has areas that need to be further clarified, developed with broader input, and based on industry's experiences with the practicalities of integrating the HACCP approach in their operations. This Guide will continue to evolve and improve. FDA has also issued the guidance document. Program Standard 3 addresses the regulatory program's use of HACCP principles at retail. (1) Acceptable level means the presence of a hazard which does not pose the likelihood of causing an unacceptable health risk. (2) Control point means any point in a specific food system at which loss of control does not lead to an unacceptable health risk. (3) Critical control point, as defined in the Food Code, means a point at which loss of control may result in an unacceptable health risk. (4) Critical limit, as defined in the Food Code, means the maximum or minimum value to which a physical, biological, or chemical parameter must be controlled at a critical control point to minimize the risk that the identified food safety hazard may occur. (5) Deviation means failure to meet a required critical limit for a critical control point. (6) HACCP plan, as defined in the Food Code, means a written document that delineates the formal procedures for following the HACCP principles developed by The National Advisory Committee on Microbiological Criteria for Foods. (7) Hazard, as defined in the Food Code, means a biological, chemical, or physical property that may cause an unacceptable consumer health risk. (8) Monitoring means a planned sequence of observations or measurements of critical limits designed to produce an accurate record and intended to ensure that the critical limit maintains product safety. Continuous monitoring means an uninterrupted record of data. (9) Preventive measure means an action to exclude, destroy, eliminate, or reduce a hazard and prevent recontamination through effective means. (10) Risk means an estimate of the likely occurrence of a hazard. (11) Sensitive ingredient means any ingredient historically associated with a known microbiological hazard that causes or contributes to production of a potentially hazardous food as defined in the Food Code. (12) Verification means methods, procedures, and tests used to determine if the HACCP system in use is in compliance with the HACCP plan. The application of HACCP to food production was pioneered by the Pillsbury Company with the cooperation and participation of the National Aeronautic and Space Administration (NASA), Natick Laboratories of the U.S. Army, and the U.S. Air Force Space Laboratory Project Group. Application of the system in the early 1960's created food for the United State's space program that approached 100% assurance against contamination by bacterial and viral pathogens, toxins, and chemical or physical hazards that could cause illness or injury to astronauts. HACCP replaced end-product testing to provide food safety assurance and provided a preventive system for producing safe food that had universal application. In the succeeding years, the HACCP system has been recognized worldwide as an effective system of controls. The system has undergone considerable analysis, refinement, and testing and is widely accepted in the United States and internationally. FDA is recommending the implementation of HACCP in food establishments because it is a system of preventive controls that is the most effective and efficient way to ensure that food products are safe. A HACCP system will emphasize the industry's role in continuous problem solving and prevention rather than relying solely on periodic facility inspections by regulatory agencies. HACCP offers two additional benefits over conventional inspection techniques. First, it clearly identifies the food establishment as the final party responsible for ensuring the safety of the food it produces. HACCP requires the food establishment to analyze its preparation methods in a rational, scientific manner in order to identify critical control points and to establish critical limits and monitoring procedures. A vital aspect of the establishment's responsibility is to establish and maintain records that document adherence to the critical limits that relate to the identified critical control points, thus resulting in continuous self-inspection. Secondly, a HACCP system allows the regulatory agency to more comprehensively determine an establishment's level of compliance. A food establishment's use of HACCP requires development of a plan to prepare safe food. This plan must be shared with the regulatory agency because it must have access to CCP monitoring records and other data necessary to verify that the HACCP plan is working. Using conventional inspection techniques, an agency can only determine conditions during the time of inspection which provide a "snapshot" of conditions at the moment of the inspection. However, by adopting a HACCP approach, both current and past conditions can be determined. When regulatory agencies review HACCP records, they have, in effect, a look back through time. Therefore, the regulatory agency can better ensure that processes are under control. Traditional inspection is relatively resource-intensive and inefficient and is reactive rather than preventive compared to the HACCP approach for ensuring food safety. Regulatory agencies are challenged to find new approaches to food safety that enable them to become more focused and efficient and to minimize costs wherever possible. Thus, the advantages of HACCP-based inspections are becoming increasingly acknowledged by the regulatory community. Examples of the successful implementation of HACCP by food establishments may be found throughout the food industry. During the past several years, FDA and a number of state and local jurisdictions have worked with two national voluntary pilot projects for retail food stores and restaurants. These projects involved more than 20 food establishments and demonstrated that HACCP is a viable and practical option to improve food safety. FDA believes that HACCP concepts have matured to the point at which they can be formally implemented for all food products on an industry-wide basis. Established in 1988, the National Advisory Committee on Microbiological Criteria for Foods (NACMCF) is an advisory committee chartered under the U.S. Department of Agriculture (USDA) and comprised of participants from the USDA (Food Safety and Inspection Service), Department of Health and Human Services (U.S. Food and Drug Administration and the Centers for Disease Control and Prevention), the Department of Commerce (National Marine Fisheries Service), the Department of Defense (Office of the Army Surgeon General), academia, industry and state employees. NACMCF provides guidance and recommendations to the Secretary of Agriculture and the Secretary of Health and Human Services regarding the microbiological safety of foods. Identified hazards can be used to develop preventive measures for a process or product to ensure or improve food safety. Before beginning to develop a HACCP plan, a team should be assembled that is familiar with the overall food operation and the specific production processes to be included in the plan. The team's goal and each member's responsibilities in reaching that goal must be clearly defined. The first step in the development of a HACCP plan for a food operation is identification of hazards associated with the product. A hazard may be a biological, chemical, or physical property that can cause a food to be unsafe. The analysis of hazards requires the assessment of two factors with respect to any identified hazard, i.e., the likelihood that the hazard will occur and the severity if it does occur. Hazard analysis also involves establishment of preventive measures for control. Hazards that involve low risk and that are not likely to occur need not be considered for the purposes of HACCP. To be effectively addressed, hazards must be such that their prevention, elimination, or reduction to acceptable levels is attained. Numerous issues have to be considered during hazard analysis. These relate to factors such as ingredients, processing, distribution, and the intended use of the product. These issues include whether a food contains sensitive ingredients that can create microbiological, chemical, or physical hazards; or whether sanitation practices that are used can introduce these hazards to the food that is being prepared or processed. An example is whether the finished food will be heated by the consumer, if it is consumed off the premises. Even factors beyond the immediate control of the food establishment, such as how the food will be treated if taken out by the consumer and how it will be consumed, must be considered because these factors could influence how food should be prepared or processed in the establishment. Consequently, a flow diagram that delineates the steps in the process from receipt to sale or service forms the foundation for applying the seven principles. The significant hazards associated with each step in the flow diagram should be listed along with preventative measures proposed to control the hazards. This tabulation will be used under Principle 2 to determine the CCPs. The flow diagram should be constructed by a HACCP team that has knowledge and expertise on the product, process, and the likely hazards. Each step in a process should be identified and observed to accurately construct the flow diagram. Some examples of flow diagrams are found at the end of this Annex. Foodborne biological hazards include bacterial, viral, and parasitic organisms. These organisms are commonly associated with humans and with raw products entering the food establishment. Many of these pathogens occur naturally in the environment where foods are grown. Most are killed or inactivated by adequate cooking and numbers are kept to a minimum by adequate cooling during distribution and storage. Bacterial pathogens comprise the majority of reported foodborne disease outbreaks and cases. A certain level of the pathogens can be expected with some raw foods. Temperature abuse, such as improper hot or cold holding temperatures, can significantly magnify this number. Cooked food which has been subject to cross-contamination with pathogens often provides a fertile medium for their rapid and progressive growth. Enteric viruses can be foodborne, waterborne, or transmitted from a person or from animals. Unlike bacteria, a virus cannot multiply outside of a living cell. Hepatitis A and Norwalk viruses are examples of viral hazards associated with ready-to-eat foods. Parasites are most often animal host-specific and can include humans in their life cycles. Parasitic infections are commonly associated with undercooking meat products or cross contamination of ready-to-eat food. Fishborne parasites in products that are intended to be eaten raw, marinated, or partially cooked can be killed by effective freezing techniques. The following table provides an assessment of severity of the biological hazards which may be associated with food being prepared, served, or sold in food establishments. a Adapted from International Commission on Microbiological Specifications for Food (ICMSF) (1986). Used with permission, "HACCP Principles and Applications", Pierson and Corlett, Eds. 1992. Chapman & Hall, New York, NY. b Although classified as moderate hazards, complications and sequelae may be severe in certain susceptible populations. Chemical hazards in foods should be considered during a hazard analysis. Chemical contaminants may be naturally occurring or may be added during the processing of food. Harmful chemicals at very high levels have been associated with acute cases of foodborne illnesses and can be responsible for chronic illness at lower levels. The following table provides some examples of chemical hazards found within the naturally occurring and added chemical categories. The Code of Federal Regulations, Title 21, provides guidance on naturally occurring toxic substances and allowable limits for many of the chemicals added during processing (food additives). The FDA Compliance Policy Guidelines also provide information on other naturally occurring chemicals. a Used with permission, "HACCP Principles and Applications", Pierson and Corlett, Eds. 1992. Chapman & Hall, New York, NY and adapted. Each year the Food & Drug Administration (FDA) receives reports of consumers who experienced adverse reactions following exposure to an allergenic substance in foods. Food allergies are abnormal responses of the immune system, especially involving the production of allergen-specific IgE antibodies, to naturally occurring proteins in certain foods that most individuals can eat safely. Frequently such reactions occur because the presence of the allergenic substances in the foods is not declared on the food label. To combat this problem, the agency issued a letter titled "Notice to Manufacturers," dated June 10, 1996, which addressed labeling issues and Good Manufacturing Practices (GMPs). This letter is available on FDA's web site. FDA believes there is scientific consensus that the following foods can cause serious allergic reactions in some individuals and account for more than 90% of all food allergies. Products which contain an allergenic ingredient by design must comply with 21 U.S.C. 343(i)(2). Where substances that are, bear, or contain allergens are added as ingredients or sub-ingredients (including rework), the Federal Food, Drug, and Cosmetic Act (the Act) requires a complete listing of the food ingredients, provide that incidental additives, such as processing aids, which are present in a food at insignificant levels and that do not have a technical or functional effect in the finished food are exempt from ingredient declaration. Some manufacturers have asserted to FDA that some allergens used as processing aids qualify for this exemption. FDA, however, does not consider food allergens eligible for this exemption. Evidence indicates that some food allergens can cause serious reactions in sensitive individuals upon ingestion of very small amounts; therefore, the presence of an allergen must be declared in accordance with (689 KB). Allergens may be unintentionally added to food as a result of practices such as improper rework addition, product carry-over due to use of common equipment and production sequencing, or the presence of an allergenic product above exposed product lines. Such practices with respect to allergenic substances can be insanitary conditions that may render the food injurious to health and adulterate the product under section 402(a)(4) of the Act [21 U.S.C. 342(a)(4)]. Illness and injury can result from hard foreign objects in food. These physical hazards can result from contamination and/or poor procedures at many points in the food chain from harvest to consumer, including those within the food establishment. As establishments develop their HACCP programs, the following table can be used to further identify sources of potential physical risks to the food being prepared, served, or sold. a Adapted from Corlett (1991). b Used with permission, "HACCP Principles and Applications", Pierson and Corlett, Eds. 1992. Chapman & Hall, New York, NY. The potential significance or risk of each hazard should be assessed by considering its likelihood of occurrence and severity. The estimate of risk for a hazard occurring is based upon a combination of experience, epidemiological data, and information in the technical literature. Severity is the degree of seriousness of the consequences of a hazard if it were to become an actuality. Hazard identification in conjunction with risk estimation provides a rational basis for determining which hazards are significant and must be addressed in the HACCP plan. To determine risk during the hazard analysis, safety concerns must be differentiated from quality concerns. A food safety hazard is a biological, chemical, or physical property that may cause a food to be unsafe. There may be differences of opinion, even among experts, as to the risk of a hazard. The food establishment must rely upon the expert opinion published in peer reviewed literature or experts who actively assist in the development of the HACCP plan. The hazards must at least include those that are commonly associated with a specific product. If a hazard that is commonly associated is dismissed from the plan, the basis for rejecting it must be clearly stated in the hazard analysis so that it is understood and agreed to by the regulatory authority reviewing the HACCP plan. This point in hazard analysis consists of asking a series of questions which are appropriate to each step in the flow diagram. The hazard analysis should question the effect of a variety of factors upon the safety of the food. Does the food contain any sensitive ingredients that are likely to present microbiological hazards (e.g., Salmonella, Staphylococcus aureus), chemical hazards (e.g., aflatoxin, antibiotic, or pesticide residues) or physical hazards (stones, glass, bone, metal)? Physical characteristics and composition (e.g., pH, type of acids, fermentable carbohydrate, water activity, preservatives) of the food during and after preparation can cause or prevent a hazard. Which intrinsic factors of the food must be controlled in order to ensure food safety? Does the food permit survival or multiplication of pathogens and/or toxin formation in the food before or during preparation? Will the food permit survival or multiplication of pathogens and/or toxin formation during subsequent steps of preparation, storage, or consumer possession? Are there other similar products in the market place? What has been the safety record for these products? Does the preparation procedure or process include a controllable step that destroys pathogens or their toxins? Consider both vegetative cells and spores. Is the product subject to recontamination between the preparation step (e.g., cooking) and packaging? Is the food commercially sterile (i.e., low acid canned food)? Is it likely that the food will contain viable sporeforming or nonsporeforming pathogens? What is the normal microbial content of the food stored under proper conditions? Does the microbial population change during the time the food is stored before consumption? Does that change in microbial population alter the safety of the food? Does the layout of the facility provide an adequate separation of raw materials from ready-to-eat foods? Is positive air pressure maintained in product packaging areas? Is this essential for product safety? Is the traffic pattern for people and moving equipment a potentially significant source of contamination? Will the equipment provide the time/temperature control that is necessary for safe food? Is the equipment properly sized for the volume of food that will be prepared? Can the equipment be sufficiently controlled so that the variation in performance will be within the tolerances required to produce a safe food? Is the equipment reliable or is it prone to frequent breakdowns? Is the equipment designed so that it can be cleaned and sanitized? Is there a chance for product contamination with hazardous substances, e.g., glass? What product safety devices such as time/temperature integrators are used to enhance consumer safety? Does the method of packaging affect the multiplication of microbial pathogens and/or the formation of toxins? Is the packaging material resistant to damage, thereby preventing the entrance of microbial contamination? Is the package clearly labeled "Keep Refrigerated" if this is required for safety? Does the package include instructions for the safe handling and preparation of the food by the consumer? Are tamper-evident packaging features used? Is each package legibly and accurately coded to indicate production lot? Does each package contain the proper label? Can the sanitation practices that are employed impact upon the safety of the food that is being prepared? Can the facility be cleaned and sanitized to permit the safe handling of food? Is it possible to provide sanitary conditions consistently and adequately to ensure safe foods? Can employee health or personal hygiene practices impact the safety of the food being prepared? Do the employees understand the food preparation process and the factors they must control to ensure safe foods? Will the employees inform management of a problem which could impact food safety? What is the likelihood that the food will be improperly stored at the wrong temperature? Would storage at improper temperatures lead to a microbiologically unsafe food? Will the food be heated by the consumer? Will there likely be leftovers? Is the food intended for the general public, i.e., a population that does not have an increased risk of becoming ill.
Is the food intended for consumption by a population with increased susceptibility to illness (e.g., infants, the elderly, the infirm, and immunocompromised individuals)? The preventive measures procedure identifies the steps in the process at which hazards can be controlled. After identifying the hazards the food establishment must then consider what preventive measures, if any, can be applied for each hazard. Preventive measures are physical, chemical, or other factors that can be used to control an identified health hazard. More than one preventive measure may be required to control a specific hazard and more than one hazard may be controlled by a specified preventive measure. A CCP is a point, step, or procedure at which control can be applied and a food safety hazard can be prevented, eliminated, or reduced to acceptable levels. Points in food preparation that may be CCPs include cooking, chilling, specific sanitation procedures, product formulation control, prevention of cross contamination, and certain aspects of employee and environmental hygiene. For example, cooking that must occur at a specific temperature and for a specified time in order to destroy microbiological pathogens is a critical control point. Likewise, refrigeration or the adjustment of a food's pH to a level required to prevent hazardous microorganisms from multiplying or toxins from forming are also CCPs. Many points in food preparation may be considered control points, but very few are actually critical control points. A control point is any point, step, or procedure at which biological, physical, or chemical factors can be controlled. Concerns that do not impact food safety may be addressed at control points; however, since these control points do not relate to food safety, they are not included in the HACCP plan. Different facilities preparing the same food can differ in the risk of hazards and the points, steps, or procedures which are CCPs. This can be due to differences in each facility such as layout, equipment, selection of ingredients, or the process that is used. Generic HACCP plans can serve as useful guides; however, it is essential that the unique conditions within each facility be considered during the development of a HACCP plan. CCPs must be carefully developed and documented. In addition, they must be used only for purposes of product safety. The following decision tree is helpful in verifying which of the food preparation steps should be designated as CCPs. This step involves establishing a criterion that must be met for each preventive measure associated with a CCP. Critical limits can be thought of as boundaries of safety for each CCP and may be set for preventive measures such as temperature, time, physical dimensions, aw, pH, and available chlorine. Critical limits may be derived from sources such as regulatory standards and guidelines, scientific literature, experimental studies, and consultation with experts. A critical limit is defined as a criterion that must be met for each preventive measure associated with a CCP. Each CCP will have one or more preventive measures that must be properly controlled to ensure prevention, elimination, or reduction of hazards to acceptable levels. The food establishment is responsible for using competent authorities to validate that the critical limits chosen will control the identified hazard. In some cases, variables involved in food preparation may require certain target levels to ensure that critical limits are not exceeded. For example, a preventive measure and critical limit may be an internal product temperature of 71°C (160°F) during one stage of a process. The oven temperature, however, may be 71 ±3°C (160±°F); thus an oven target temperature would have to be greater than 74°C (165°F) so that no product receives a cook of less than 71°C (160°F). It provides written documentation for use in verification of the HACCP plan. An unsafe food may result if a process is not properly controlled and a deviation occurs. Because of the potentially serious consequences of a critical defect, monitoring procedures must be effective. Continuous monitoring is always preferred when feasible and continuous monitoring is possible with many types of physical and chemical methods. For example, the temperature and time for an institutional cook-chill operation can be recorded continuously on temperature recording charts. If the temperature falls below the scheduled temperature or the time is insufficient, as recorded on the chart, the batch must be recorded as a process deviation and reprocessed or discarded. Instrumentation used by the food establishment for measuring critical limits must be carefully calibrated for accuracy. Records of calibrations must be maintained as a part of the HACCP plan documentation. When it is not possible to monitor a critical limit on a continuous basis, it is necessary to establish that the monitoring interval will be reliable enough to indicate that the hazard is under control. Statistically designed data collection or sampling systems lend themselves to this purpose. When statistical process control is used, it is important to recognize that violations of critical limits must not occur. For example, when a temperature of 68°C (155°F) or higher is required for product safety, the minimum temperature of the product may be set at a target that is above this temperature to compensate for variation. Most monitoring procedures for CCPs will need to be done rapidly because the time frame between food preparation and consumption does not allow for lengthy analytical testing. Microbiological testing is seldom effective for monitoring CCPs because of its time-consuming nature. Therefore, physical and chemical measurements are preferred because they may be done rapidly and can indicate whether microbiological control is occurring. Assignment of responsibility for monitoring is an important consideration for each CCP within the operation. Specific assignments will depend on the number of CCPs, preventive measures, and the complexity of monitoring. The most appropriate employees for such assignments are often directly associated with the operation, such as the person in charge of the food establishment, chefs, and departmental supervisors. Individuals monitoring CCPs must be trained in the monitoring technique, completely understand the purpose and importance of monitoring, and be unbiased in monitoring and reporting so that monitoring is accurately recorded. The designated individuals must have ready access to the CCP being monitored and to the calibrated instrumentation designated in the HACCP plan. The person responsible for monitoring must also record a food operation or product that does not meet critical limits and ensure that immediate corrective action can be taken. All records and documents associated with CCP monitoring must be signed or initialed by the person doing the monitoring. Random checks may be useful in supplementing the monitoring of certain CCPs. They may be used to check incoming ingredients, serve as a check for compliance where ingredients are recertified as meeting certain standards, and assess factors such as equipment. Random checks are also advisable for monitoring environmental factors such as airborne contamination, and cleaning and sanitizing gloves. With some foods containing microbiologically sensitive ingredients, there may not be an alternative to microbiological testing. However, it is important to recognize that a sampling frequency which is adequate for reliable detection of low levels of pathogens is seldom possible because of the large number of samples needed. For this reason, microbiological testing has limitations in a HACCP system, but is valuable as a means of establishing and verifying the effectiveness of control at CCPs (such as through challenge tests, random testing, or testing that focuses on isolating the source of a problem). Maintain records of corrective actions. Because of the variations in CCPs for different food operations and the diversity of possible deviations, specific corrective action plans must be developed for each CCP. The actions must demonstrate that the CCP has been brought under control. Individuals who have a thorough understanding of the operation, product, and HACCP plan must be assigned responsibility for taking corrective action. Corrective action procedures must be documented in the HACCP plan. Food establishments covered by the Food Code will usually be concerned with food which has a limited shelf-life and distribution. Primary focus for the application of this HACCP principle will be on the correction of the procedure or condition which led to the noncompliance. More frequent monitoring may be temporarily required to ensure that the deviation from the established critical limit is not continuing when the operation is resumed. If a deviation should occur in food operations that are traditionally considered food processing operations, such as cook-chill, curing and smoking, or reduced oxygen packaging, the food establishment must place the product on hold pending completion of appropriate corrective actions and analyses. As appropriate, scientific experts and regulatory agencies must be consulted regarding additional testing or disposition of the product. Identification of deviant lots and corrective actions taken to ensure safety of these lots must be noted in the HACCP record. This record must remain on file for a reasonable period after the expiration date or expected shelf life of the product. The first phase of the process is the scientific or technical verification that critical limits at CCPs are satisfactory. This can be complex and may require intensive involvement of highly skilled professionals from a variety of disciplines capable of doing focused studies and analyses. A review of the critical limits is necessary to verify that the limits are adequate to control the hazards that are likely to occur. The second phase of verification ensures that the facility's HACCP plan is functioning effectively. A functioning HACCP system requires little end-product sampling, since appropriate safeguards are built in early in the food preparation. Therefore, rather than relying on end-product sampling, food establishments must rely on frequent reviews of their HACCP plan, verification that the HACCP plan is being correctly followed, review of CCP records, and determinations that appropriate risk management decisions and product dispositions are made when preparation deviations occur. The third phase consists of documented periodic revalidations, independent of audits or other verification procedures, that must be performed to ensure the accuracy of the HACCP plan. Revalidations are performed by a HACCP team on a regular basis and/or whenever significant product, preparation, or packaging changes require modification of the HACCP plan. The revalidation includes a documented on-site review and verification of all flow diagrams and CCPs in the HACCP plan. The HACCP team modifies the HACCP plan as necessary. The fourth phase of verification deals with the regulatory agency's responsibility and actions to ensure that the establishment's HACCP system is functioning satisfactorily. Review of modifications of the HACCP plan. To verify that changes have been implemented correctly after a HACCP plan has been modified. Training and knowledge of individuals responsible for monitoring CCPs. Training and knowledge are very important in making HACCP successful in any food establishment. HACCP works best when it is integrated into each employee's normal duties rather than added as something extra. The depth and breadth of training will depend on the particular employee's responsibilities within the establishment. Management or supervisory individuals will need a deeper understanding of the HACCP process because they are responsible for proper plan implementation and routine monitoring of CCPs such as product cooking temperatures and cooling times. The training plan should be specific to the establishment's operation rather than attempt to develop HACCP expertise for broad application. The food employee's training should provide an overview of HACCP's prevention philosophy while focusing on the specifics of the employee's normal functions. The CCPs such as proper handwashing and use of utensils or gloves for working with ready-to-eat food should be stressed. The use of recipes or Standard Operating Procedures (SOPs) which include the critical limits of cooking times and temperatures, with a final cooking time and temperature measurement step, should be included. For all employees, the fundamental training goal should be to make them proficient in the specific tasks which the HACCP plan requires them to perform. This includes the development of a level of competency in their decision making about the implementation of proper corrective actions when monitoring reveals violation of the critical limit. The training should also include the proper completion and maintenance of any records specified in the establishment's plan. Work station reminders such as pictorials on how and when to take food temperatures. The HACCP plan should include a feedback loop for employees to suggest what additional training is needed. All employees should be made a part of the continuous food safety improvement cycle because the old statement is very true, "The customer's health is in their hands". This helps maintain their active awareness and involvement in the importance of each job to the safety of the food provided by their establishment. This principle requires the preparation and maintenance of a written HACCP plan by the food establishment. The plan must detail the hazards of each individual or categorical product covered by the plan. It must clearly identify the CCPs and critical limits for each CCP. CCP monitoring and record keeping procedures must be shown in the establishment's HACCP plan. HACCP plan implementation strategy should be provided as a part of the food establishment's documentation. The principle requires the maintenance of records generated during the operation of the plan. The record keeping associated with HACCP procedures ultimately makes the system work. One conclusion of a study of HACCP performed by the U.S. Department of Commerce is that correcting problems without record keeping almost guarantees that problems will recur. The requirement to record events at CCPs on a regular basis ensures that preventive monitoring is occurring in a systematic way. Unusual occurrences that are discovered as CCPs are monitored or that otherwise come to light must be corrected and recorded immediately with notation of the corrective action taken. The level of sophistication of the record keeping necessary for the food establishment is dependent on the complexity of the food preparation operation. A sous vidé process or cook-chill operation for a large institution would require more record keeping than a limited menu cook-serve operation. The simplest effective record keeping system that lends itself well to integration within the existing operation is best. Procedures for verification of HACCP system. The following chart is an example of a HACCP plan documentation for a product cooling step in a retail level food establishment. Supplier certification documenting compliance with establishment's specifications. Establishment audit records verifying supplier compliance. Storage temperature record for temperature-sensitive ingredients. Storage time records of limited shelf-life ingredients. Records from all monitored CCPs. Records verifying the continued adequacy of the food preparation procedures. Records indicating compliance with specifications of packaging materials. Records indicating compliance with sealing specifications. Sufficient data and records to establish the efficacy of barriers in maintaining product safety. Sufficient data and records establishing the safe shelf-life of the product; if age of product can affect safety. Documentation of the adequacy of the HACCP procedures from an authority knowledgeable of the hazards involved and necessary controls. Records showing no product shipped after shelf life date on temperature-sensitive products. Validation records and modification to the HACCP plan indicating approved revisions and changes in ingredients, formulations, preparation, packaging, and distribution control, as needed. Records indicating that food employees responsible for implementation of the HACCP plan understand the hazards, controls, and procedures. Refer to the discussion regarding Training and Knowledge under Principle #7. HACCP is a systematic approach to food safety which will dramatically improve the level of food safety. The NACMCF has developed the seven HACCP principles discussed within this Annex. The FDA recommends the implementation of a HACCP system throughout the food industry using these NACMCF recommendations. An effective national food safety program from food production to consumer is enhanced by the implementation of HACCP. The statistics from foodborne surveillance reveal that retail level food establishments can have a significant impact on the health of consumers. Implementation of HACCP programs by the establishments will profoundly enhance their role in the protection of public health beyond the traditional emphasis on facility and equipment design and maintenance and adherence to the principles of sanitation, good manufacturing, and food preparation practices. The education and training of all personnel are critical to the success and effectiveness of any HACCP program. The Food Code stresses the application to HACCP principles and the knowledge and responsibilities of establishment management and employees. Specific HACCP plans for the products prepared and sold by the retail food establishment should be developed and implemented for optimal food safety management. HACCP systems are recommended for use as a tool for regulatory inspections. The regulatory official should incorporate procedures in the inspection process that ensure record reviews and active monitoring. Because the retail food establishment industry is composed of large, small, chain, and independent establishments, the level of food safety expertise varies widely and is not necessarily linked to size or affiliation. Regardless of the size and sophistication of the establishment, a HACCP plan for safe food preparation and sales needs to be designed, implemented, and verified. Studies have shown that a significant level of illness and mortality from foodborne disease in institutional feeding operations such as hospitals, nursing homes, and prisons is related to preventable causes. For populations that may be more vulnerable to foodborne disease, FDA and the NACMCF recommend that HACCP systems be immediately implemented by establishments and institutions preparing foods for these susceptible individuals. Food processing operations at retail food establishments such as reduced oxygen packaging and curing and smoking under the Food Code are required to develop and implement a HACCP plan for that part of the operation. Additionally, any establishment seeking a variance from the requirements of the Code must submit a HACCP plan. The HACCP Annex can serve to guide these establishments in this process. Food establishments have the primary responsibility for food safety. The development and implementation of HACCP programs is a reliable and responsible step to help ensure the safety of food offered for consumption. Much of this HACCP Annex material is adapted from National Advisory Committee on Microbiological Criteria for Foods, Hazard Analysis and Critical Control Point System, adopted March 20, 1992. Some of the charts were provided courtesy of "Overview of Biological, Chemical, and Physical Hazards" in "HACCP Principles and Applications," Merle Pierson and Donald A. Corlett, Jr. (Eds. ), 1992 p 8-28. Chapman and Hall, New York. Bean, N.H. and P.M. Griffin 1990. Foodborne disease outbreaks in the United States, 1973-87. J. Food Prot. 53(9):804-817. Bjerklie, S., 1992. HACCP in your plant: What HACCP is, what it isn't and how your operations will be affected. Meat and Poultry 38(2):14-22. Bryan, F.L., 1990. Hazard analysis critical control point (HACCP) concept. Dairy, Food Environ. Sanitat. 10(7):416-418. Bryan, F.L., 1990. Hazard analysis critical control point (HACCP) systems for retail food and restaurant operations. J. Food Prot. 53(11):978-983. Bryan, F.L., 1988. Risks associated with vehicles of foodborne pathogens and toxins. J. Food Prot. 51(6):498-508. Bryan, F.L., 1988. Risks of practices, procedures and processes that lead to outbreaks of foodborne diseases. J. Food Prot. 51(8):663-673. Bryan, F.L., P.Teufel, S. Riaz, S. Roohi, F. Quadar and Z. Malik, 1992. Hazards and critical control points of vending operations at a railway station and a bus station in Pakistan. J. Food Technol. 55(7):534-541. Bryan, F.L., C.A. Bartelson, C.O. Cook, P. Fisher, J.J. Guzewich, B.J. Humm, R.C. Swanson, and E.C.D. Todd, 1991. Procedures to Implement the Hazard Analysis Critical Control Point System. Int. Assoc. of Milk, Food, Environ. Sanitarians, Ames, IA, 72 pp. Buchanan, R.L., 1990. HACCP: A re-emerging approach to food safety. Trends in Food Science & Technology, November 1990, Elsevier Science Publishers, Inc.
Corlett, D.A., Jr., 1989. Refrigerated foods and use of hazard analysis and critical control point principles. Food Technol. 43(2):91-94. Corlett, D.A. Jr., 1991. Regulatory verification of industrial HACCP systems. Food Technol. 45(5):144-146. Cox, L.J., 1989. A perspective on listeriosis. Food Technol. 45(12):52-59. Curiale, M.S., 1991. Shelf-life evaluation analysis. Dairy, Food Environ. Sanit. 11(7):364-369. Educational Foundation of the National Restaurant Association, 1993. HACCP Reference Book. Educational Foundation, Chicago, IL. 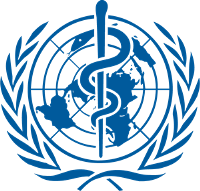 Food and Agriculture Organization of the United Nations, Report of the FAO Technical Consultation on Food Allergies. Rome, Italy, November 13 to 14, 1995. Food Marketing Institute, 1989. Food handler's pocket guide for food safety and quality. Washington, DC. Food Marketing Institute., 1989. A program to ensure food safety in the supermarket -- the hazard analysis critical control point system. Washington, DC. Foster, E.M., 1989. A half-century of food microbiology. Food Technol. 43(9):208-215. Guzewich, J. J., 1987. Practical Procedures for Using the Hazard Analysis Critical Control Point (HACCP) Approach in Food Service Establishments by Industry and Regulatory Agencies. Lewis Publishers, Inc., Chelsea, MI. Hefle, S.L, et al. Allergenic Foods. Critical Reviews in Food Science and Nutrition, 36(S);S69-S89 (1996). Kemp, S., 1991. Start a quality improvement program. North Carolina State University, Sea Grant College Program. Raleigh, NC. Seafood Current, 5(1). International Association of Milk, Food and Environmental Sanitarians, Inc., 1991 Procedures to implement the hazard analysis critical control point system. Des Moines, IA. International Commission on Microbiological Specifications for Foods, 1986. Microorganisms in Foods 2. Sampling for microbiological analysis: Principles and specific applications. 2nd ed. University of Toronto Press, Toronto. International Commission on Microbiological Specifications for Foods, 1989. Microorganisms in Foods 4. Application of hazard analysis and critical control point (HACCP) system to ensure microbiological safety and quality. Blackwell Scientific Publications, Boston. Lee, J.S., with K.S. Hilderbrand Jr., 1992. Hazard analysis & critical control point applications to the seafood industry. ORESU-H-92-001. Oregon Sea Grant, Oregon State University. Corvallis, OR. Lydecker, T., 1991. How self-inspection flies: HACCP systems in airline catering companies. Food Service Director. 15:87. Martin, P., 1991. Hazard control. Restaurant Business, 1:256. McIntyre, C.R. 1991. Hazard analysis critical control point (HACCP) identification. Dairy, Food and Environ. Sanit. 11(7):357-358. National Advisory Committee on Microbiological Criteria for Foods, 1992. Hazard analysis and critical control point system. Int. J. Food Microbiol. 16:1-23. National Fisheries Institute, 1991. Seafood industry, hazard analysis critical control point, HACCP, training manual. Arlington, VA.
National Food Processors Association, 1992. HACCP and total quality management -- winning concepts for the 90's: A review. J. Food Prot. 55:459-462. New England Fisheries Development Association, 1991. HACCP manual for processors. 309 World Trade Center, Boston, MA 02210-2001. Pierson, M.D. and D.A. Corlett, Jr., 1992, HACCP Principles and Applications, Van Nostrand Reinhold, New York. 212 pp. Pisciella, J.A., 1991. A handbook for the practical application of the hazard analysis critical control point approach to food service establishment inspection. Central Atlantic States Association of Food and Drug Officials, c/o William Kinder, Pennsylvania Department of Agriculture, PO Box 300, Creamery, PA 19430. Pisciella, J.A., 1991. Overcoming the barriers to HACCP in restaurants. Food Prot. Inside Rpt. July-August:2A. Price, R. J. (Ed. ), 1985. Seafood retailing manual, 3rd ed. University of California, Sea Grant Extension Program, Davis, CA. Price, R. J., 1990. Retail seafood cross-contamination. UCSGEP 90-6. University of California, Food Science & Technology Department. Davis, CA 95616. Price, R. J., 1990. Retail seafood temperature control. UCSGEP 90-5. University of California, Food Science & Technology Department, Davis, CA 95616. Price, R.J., P.D. Tom, and K.E. Stevenson, 1993. Ensuring food safety -- The HACCP way. University of California, Food Science & Technology Department, Davis, CA 95616. Rhodes, M.E., 1991. Educating professionals and consumers about extended-shelf-life refrigerated foods. Food Technol. 47(4):182-183. Sampson, H.A. Food Allergy. JAMA (278), pp. 1888-1894. 1997. Snyder, O.P., 1991. HACCP in the retail food industry. Dairy, Food Environ. Sanit. 11(2):73-81. Stevenson, K.E., 1990. Implementing HACCP in the food industry. Food Technol. 42(5):179-180. Sumner, S.S., et al., 1992. Food Safety/Food Sanitation Workshop, Introduction to HACCP Procedures - Final Report (special project number 91-EFSQ-4021). Nebraska Cooperative Extension. University of Nebraska, Lincoln, NE 68583-0919. FDA CFSAN Web Page. A Free On-Line Draft, "Managing Food Safety: A HACCP Principles Guide for Operators of Food Service, Retail Food Stores, and Other Food Establishments at the Retail Level", FDA, 5100 Paint Branch Parkway, College Park, MD 20740-3835. PA DEPARTMENT of ENVIRONMENTAL RESOURCES, 1992. Foodborne Illness: It's your business (HACCP video). Division of Food Protection, Food Facilities Section, Harrisburg, PA.